Talia was born and raised in the town of Manhattan, NY. She showed a love for music, especially singing, at an early age. 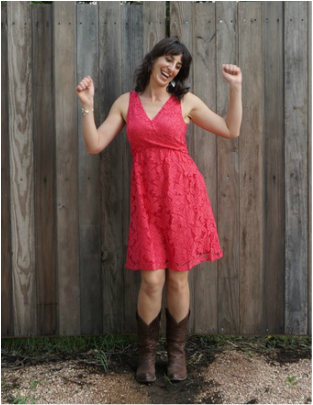 Though her family instilled in her an early love of Folk music, it wasn’t until she moved to Denver in 2005 that she was introduced to Country. There at age 23, when she picked up a guitar and started covering tunes by Guy Clark, Townes Van Zandt and Gillian Welch, she found her voice. Talia moved to Austin in 2006 with the crazy idea of starting band. There she wrote her first songs and met some fine folks who for some crazy reason wanted to start a band with her. In June 2010 Talia married Tymothy Bryce, with whom she co-wrote crowd favorite “Maybalee.” She runs her own booking agency for wedding/event music, Bouquet Bands. In 2015, Talia founded Farmgrass, a nonprofit that helps local farmers through an annual bluegrass festival held in Niederwald, TX. She is also the director of events at Tillery Place in east Austin.